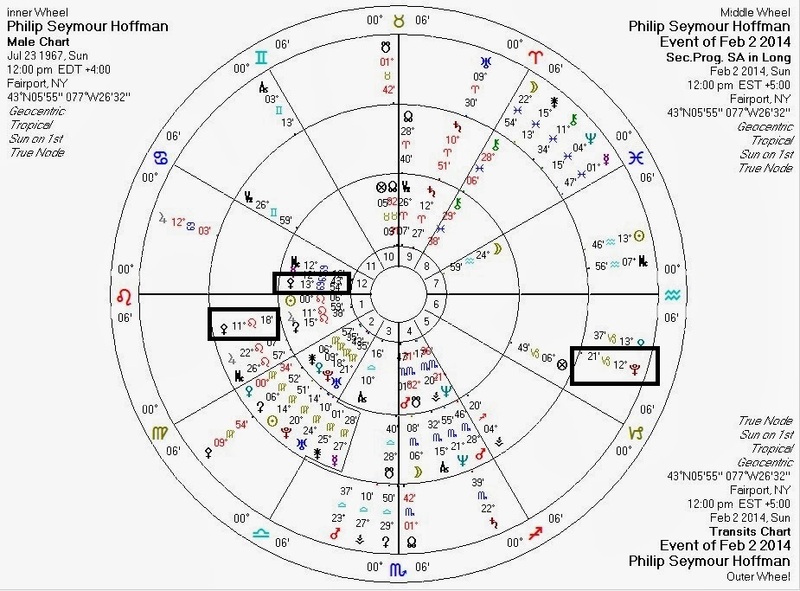 2018 note: Jupiter is conjunct Pallas, as is visible in the chart. I wrote the original post below before making the connection between scandals and Jupiter-to-Pallas transits. Pallas is not only the non-aggression principle and ethics in the horoscope but also an integral part of our processes for making significant decisions. When Pluto aspects natal or progressed Pallas on a person's chart, the person may find his/her decision-making process under pressure or compromised. Other writers have already commented on other facets of Hoffman's astrology for this unfortunate event.